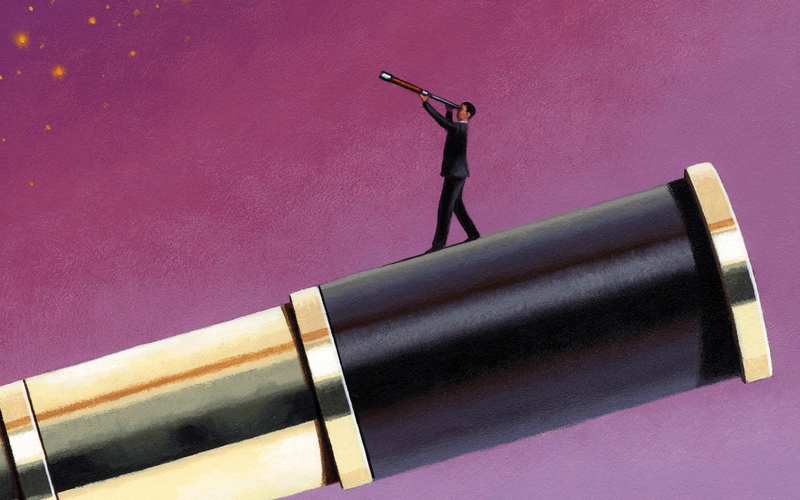 The fixed income landscape is changing. Before the financial crisis, a corporate bond portfolio would yield nearly 6%. Today the same would be just under 2.5%. Despite this the value proposition of the asset class hasn’t gone away. It is still important to have diversified exposure across the fixed income universe and a flexible approach to exploit the inefficiencies inherent in the credit markets. 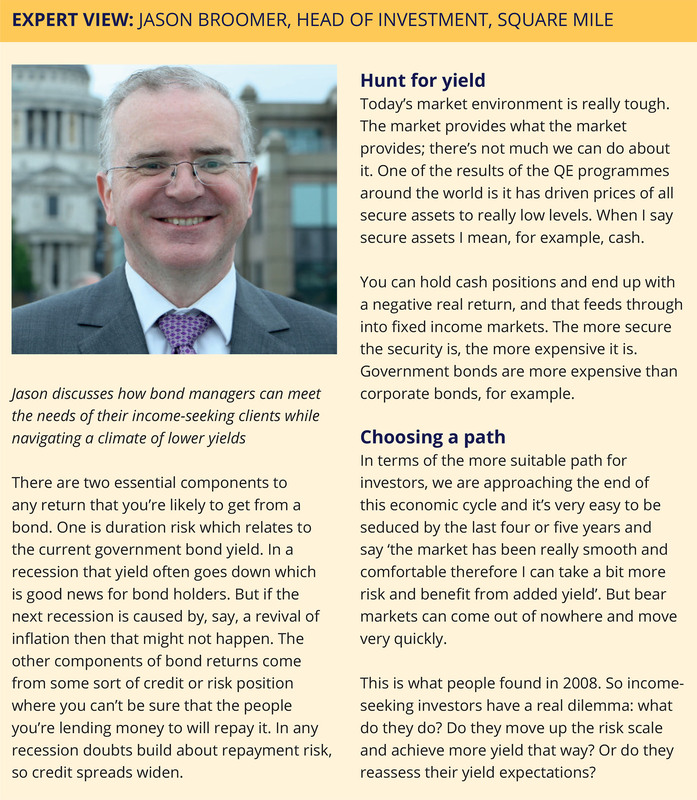 What’s more, fixed income is still suitable as the ‘defensive ballast' of a multi-asset portfolio. 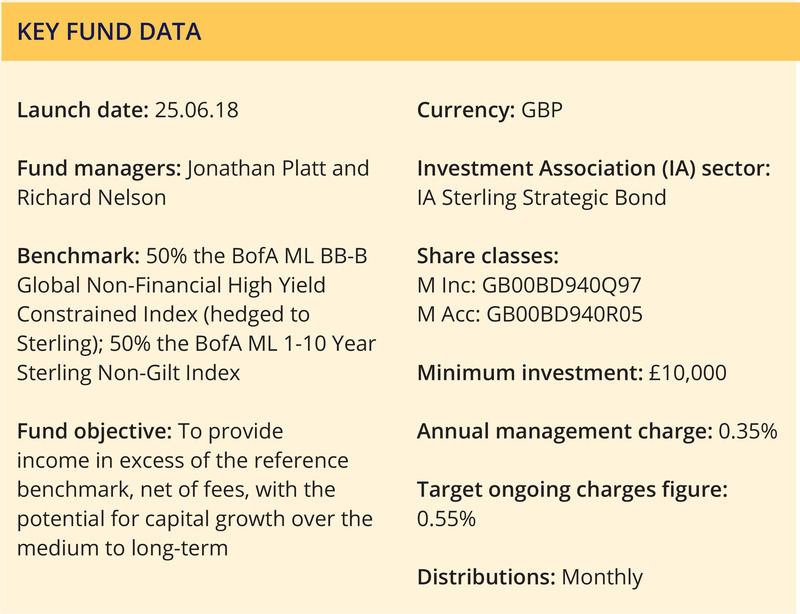 In this sponsored guide we look at the fixed income approach used by Royal London Asset Management (RLAM) as they target income in excess of the yield of its benchmark. We also review how the RLAM management team use existing, proven funds to actively manage consistent monthly income streams and adapt the portfolio to changing interest rate and credit market factors. For professional clients only, not suitable for retail investors. The views expressed are those of Royal London Asset Management and do not constitute investment advice. Past performance is not a guide to future performance. The value of investments and the income from them is not guaranteed and may go down as well as up and investors may not get back the amount originally invested. Unless otherwise noted, the information in this document has been derived from sources believed to be accurate as of September 2018. Information derived from sources other than Royal London Asset Management is believed to be reliable; however, we do not independently verify or guarantee its accuracy or validity. For more information concerning the risks of investing, please refer to the Prospectus and Key Investor Information Document (KIID). Issued September 2018 by Royal London Asset Management Limited, registered in England and Wales number 2244297. Authorised and regulated by the Financial Conduct Authority. Registered Office: 55 Gracechurch Street, London, EC3V 0RL. Which sectors do you like and which do you avoid? Can fixed income be defensive amid rising rates? Jonathan: We already have a suite of funds that are income-orientated and have demonstrated consistent outperformance versus their benchmark. So we wanted to bring these funds together and offer our clients the diversification of having exposure to these portfolios, but also provide them with exposure to the managers of these funds who are some of the most experienced in the business when it comes to income-orientated strategies. For example our colleague Eric Holt, who has been managing credit bond portfolios for over 35 years, runs our Sterling Extra Yield Bond Fund. We launched a more global version of that fund three years ago, our Global Bond Opportunities Fund, which is run by Rachid Semaoune. In addition to that, Azhar Hussain manages our Short Duration Global High Yield Bond Fund. 75% of the MIB assets are in these three funds so they will form the core of the portfolio. Jonathan: We prefer to be well-diversified so we don’t have any big sector positions within the subsidiary portfolios. The Global Bond Opportunities Fund, for example, has an orientation to financial bonds whereas our Sterling Extra Yield Bond Fund, which can invest in any fixed income security, has an orientation to secured debt which is unusual for such an income-orientated fund. Our Short Duration Global High Yield Bond Fund is an interesting strategy because it has credit risk in it but actually the maturity of those bonds are very short (the fund duration is 1.1 years as at 31 July 2018). And relative to our peer group who operate in that short duration high yield sector, we’re very much at the shorter end of the spectrum. So bringing these three funds together in that core really diversifies our sector exposure and they all complement each other. In terms of sectors that we’re avoiding, the portfolio won’t have a lot of exposure to consumer debt for example. And it won’t have much exposure to supranational debt because the yields aren’t sufficient for what is an income-orientated portfolio. Source: RLAM. Data as of 31 July 2018. Holdings may vary according to tactical asset allocation and may include holding duplication across funds held within the portfolio. Richard: We think it’s a bit early to know whether this is going to have a meaningful impact on UK or global growth. I think it’s perhaps an element of posturing by President Trump ahead of the mid-term elections in November and this posture will enable him to perhaps win a few deals ahead of those elections so he doesn’t lose the majority of the House of Representatives. But if it turns into something more than that, then obviously that may have an impact in terms of growth and we will review the portfolio at that time. The difficulty with these geopolitical situations is there’s quite a lot of them. Fundamentally, we look at the performance of the economy which does remain quite decent. We have low interest rates and that underpins our strategy of investing in credit. But we’re not being blasé about it; we monitor the political situation on a daily basis. Jonathan: As Richard says, you get a lot of these events coming around and it’s difficult to interpret what the longer-term trends are. We certainly don’t want to be complacent about that. But ultimately we are very much, within these portfolios, stock pickers. So we’re not driven by macroeconomic trends. Yes, they’re important for the outlook of interest rates but ultimately our strategy is based on a bottom-up view of what the best credits are in order to deliver income to our clients. Even so, is there a hierarchy of political risk which means you might, for instance, see the next UK election as a bigger inflexion point than the ongoing Brexit negotiations? Source: RLAM. Data as of 31 July 2018. Weighting may vary according to tactical asset allocation. Past performance is not necessarily a reliable indicator of future performance. Fixed income is facing something of a dilemma. Yields are lower but risks are arguably higher than ever. What steps can/should managers be taking in this environment? Jonathan: Due to the level of indebtedness that still exists in the global economy I think we’re going to be in this low interest rate environment for a little while yet. So in terms of the dilemmas facing bond investors, the question for us is: how can we best serve our clients in this low interest rate environment? My view is that diversifying cash flow across different fixed income classes and bond issuers is key. 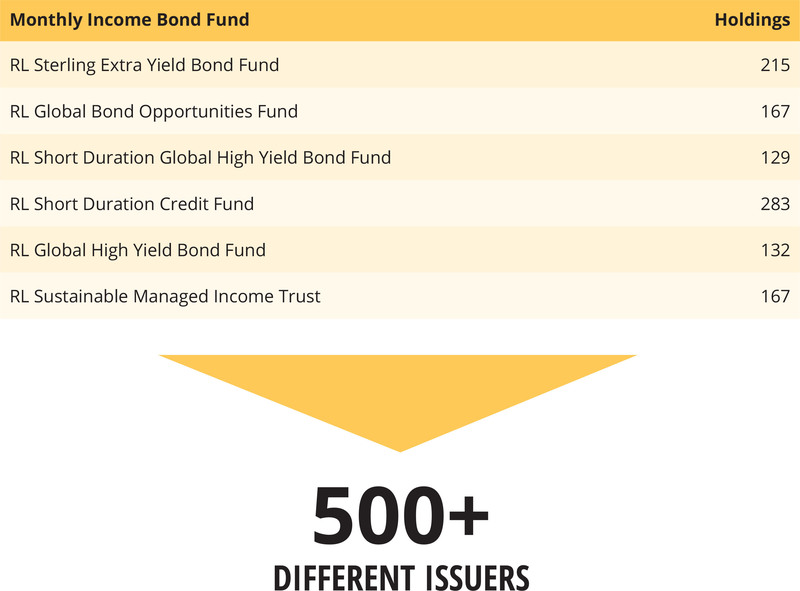 We recently launched our Monthly Income Bond (MIB) Fund with this in mind, and it has exposure to well over 500 different issuers using a fund of fund structure. At Royal London Asset Management (RLAM) we are known for having expertise across government bonds, inflation linked, credit and high yield. We are perhaps best known for these last two areas and for favouring secured and asset-backed bonds within our investment grade portfolios. Richard: Within a bond fund you can broadly improve yield in two ways: firstly, by increasing the maturity spectrum (interest rate risk), and secondly you can add credit risk by buying corporate bonds. For us, at the moment, we prefer to take more credit risk which allows us to keep the maturity profile of the fund shorter-dated. However, if you’re going to take that credit risk, you need to adopt some methodologies to mitigate the risk. Diversification, as Jonathan has mentioned, is one of them. 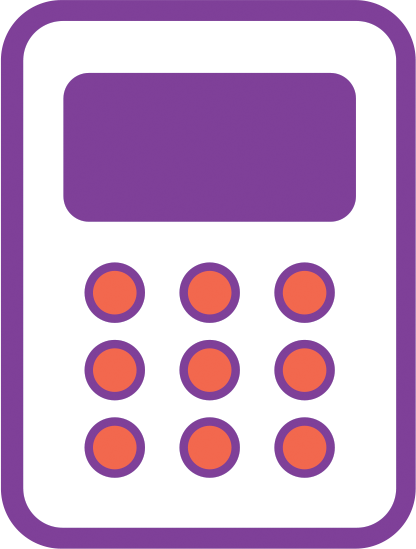 What does the Royal London Monthly Income Bond strategy seek to deliver for your investors? How is the uncertainty around global trade tariffs affecting your allocation decisions, if at all? Jonathan: It’s a good question. You could say that the last UK election represented a stark choice but I think by the time the political parties have honed their messages for the next election, the ‘almost-consensus’ of political views that we had between, say, 1992 to 2015 will have disappeared. So I think there’s a big decision to be made and that will likely impact our stock selections within portfolios. If we were to have a change in government policy, we’d have to look at a whole range of sectors and how they would be impacted. Richard: The other thing we have to think about is how the central bank and the Monetary Policy Committee (MPC) will react to these outcomes. Because after the Brexit vote itself, the MPC certainly reacted; they cut interest rates and supported the corporate bond market. So you have to be aware of that as well, not just what’s developing in the political landscape. Jonathan: My view is that government yields in the UK are a bit too low and will edge up over time. We broadly have a situation where interest rates will rise slowly which will reprice some fixed income assets. But in terms of what we’re focusing on, high-yielding assets, I still think you get paid to take risk in credit markets. So I would come back to the point we made at the beginning. It’s really important to get diversification into portfolios. One of the key attributes of fixed income investment is to compound your returns over a period of time. If you can control risk and capture income within your portfolio, over a longer period of time, you should be able to deliver higher levels of return than would be achievable by pursuing risk averse, government bond-orientated strategies. Finally, what is your broad outlook for the bonds landscape over the next two years? Our key message to investors is that in the UK, and throughout developed economies, the neutral interest rate is now much lower than it was before the great financial crisis and therefore we would expect rate rises to be limited and gradual. Making this mental adjustment to a new normal is difficult, especially if investor perceptions of inflation and interest rates were founded in a different economic environment. The contributing factors to the new conditions include: globalisation, the increasing influence of Asia on macroeconomics and less flexibility for central banks to raise rates given elevated personal debt levels in developed economies. Consequently, we expect modestly higher bond yields as long as we do not see a significant change in the political direction in the UK. A second theme that managers are often reluctant to acknowledge is the difficulty of dealing with uncertainty. Without uncertainty there would be no markets, so uncertainty is central to what we do. At the present time the heightened uncertainty in the UK around Brexit, the growing gulf between political vision of Britain, Europe migration and the viability of the eurozone are the key issues. Consequently, bonds play an important role in portfolio diversification given the difficulty of predicting outcomes to issues and how markets react. Diversification is a third theme to look at within bond markets as investors are generally paid to take credit risk, if specific risks are sufficiently diversified. A recurrent theme of credit bond investing is that investors are generally over compensated to take default risk. Now there is more than just default risk that goes into the yield premium of credit bonds over government debt; other risk considerations are liquidity and credit rating migration risk. But fundamentally it is the default risk that is paramount. For investment grade bonds the yield premium required to compensate for default risk is less than 0.4% (based on historic default and recovery rates). At the present time the average credit spread for investment grade sterling bonds is an attractive 1.25%. A common counter to this type of analysis is that we are approaching the end of a credit cycle (resulting in more defaults), that corporate takeover activity is increasing to the detriment of bond holders and that recovery rates will be lower given corporate indebtedness. While all this may be true and may result in short-term underperformance relative to government bonds it does not undermine the message – if you are a long-term investor the odds are greatly stacked in favour of credit bonds outperforming government bonds. It is not rocket science: compound excess returns, diversify your portfolio and mitigate default risk through credit analysis. Well what about volatility? Surely credit bonds are more volatile. This is not the case as the monthly annualised volatility of government bonds is greater than investment grade credit bonds over most medium and long-term periods. A flexible approach which can exploit market inefficiencies through identifying mis-priced credit risk may offer attractive risk-adjusted returns. This is based on the premise that investors tend to be overly reliant on credit rating agencies. 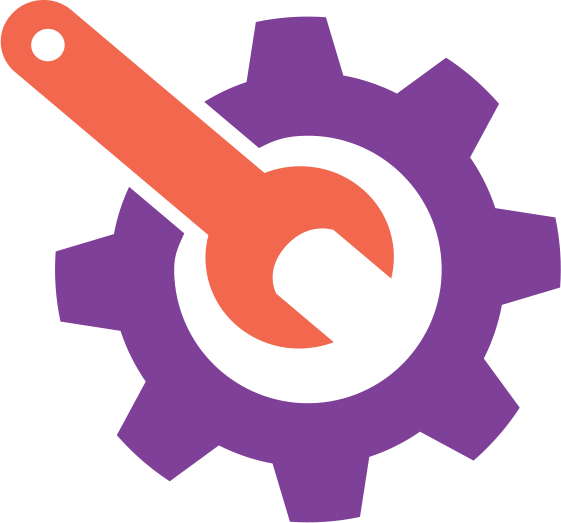 We believe that the market under-values genuine credit enhancements such as security, covenants and structure. It also overvalues more superficial characteristics such as issue size. The desire for income certainty will remain a key investment theme. This is where credit bonds come into their own, offering a relatively stable income stream on attractive terms compared to government debt. 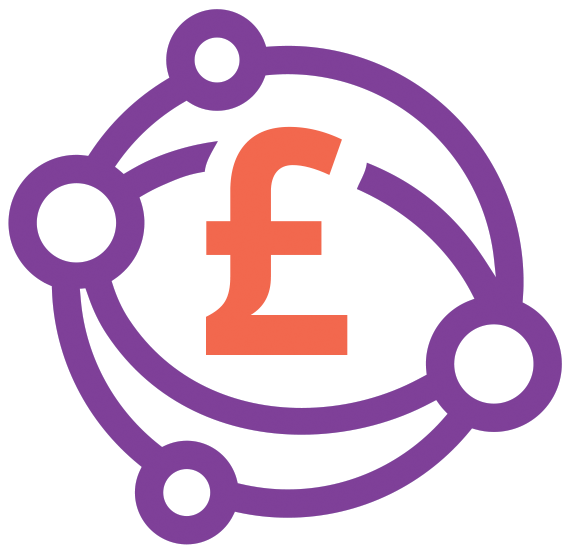 Intermediaries are looking for investments paying a monthly income to allow their clients to manage their finances. 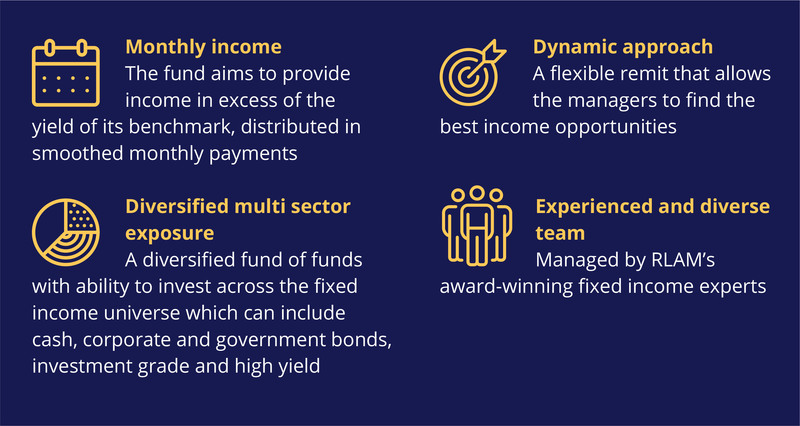 Multi-sector approaches, such as the Royal London Monthly Income Bond, have the flexibility to blend the fixed income team's existing credit capabilities by pooling the cash flows available from a range of fixed interest asset classes and distributing these in a smooth and regular manner. In our opinion the returns from government bonds, over the medium term, will be muted. Even though we do not expect a material rise in global interest rates we believe there is a trend towards higher bond yields. However, given the rich pricing of alternative asset classes and the diversification benefits in an uncertain world, there is a place for government debt. As a final message, we believe it is important to reduce stock specific risk through diversification. We see an increasing trend of credit managers copying equity strategies in taking more concentrated sector and security positions – this could spell trouble in more challenging economic times. So what is the outlook for bonds? 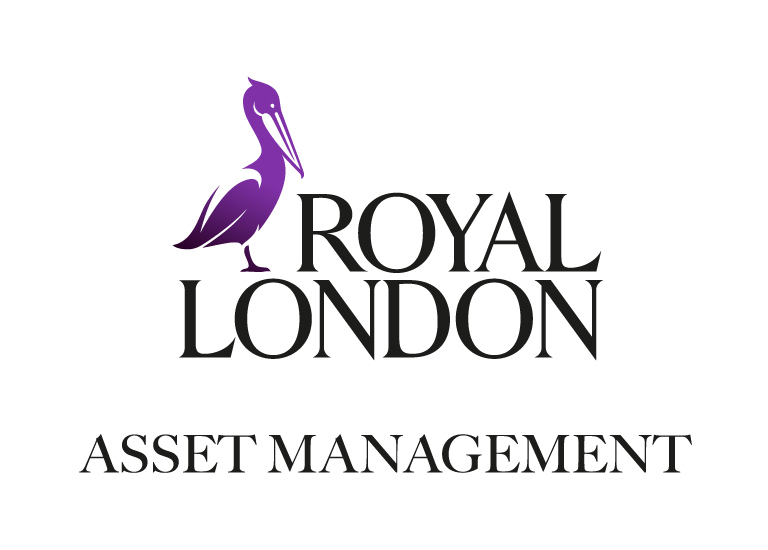 Royal London Asset Management (RLAM) offers its clients a real choice. Over the last 20 years we have consistently implemented an investment philosophy that differentiates us from most of our peer group. This is reflected in portfolio construction, stock selection and ultimately in the sources of income that our clients receive. We firmly believe that our long-held investment philosophy provides a competitive advantage in the sterling credit market. Key to this view is that credit markets offer investors long-established inefficiencies. These inefficiencies relate to: the benchmark orientation of many managers, the over-use of credit ratings as a key driver of risk assessment and security selection, too much focus on the most liquid issues and the subsequent lack of research on less high profile issues and, in general, the undervaluation of security. We have developed our investment style to take advantages of these inefficiencies. It means, in practice, our portfolios materially differ from benchmarks; in doing so we can offer our clients income payments that originate from a very broad set of debt securities. Underpinning our approach to portfolio construction and income generation is our emphasis on covenants (legal constraints), structure (position in the capital structure) and security (claim on specific assets). In practice this means that we place strong emphasis on our own research, preferring companies with sound long-term business models and bonds that offer strong covenant protection and asset backing. We believe that credit ratings are a lagging indicator. Bond investment is about assessing the probability of default and the recovery rate, and we believe that inefficiencies arise because too little emphasis is placed on the latter. 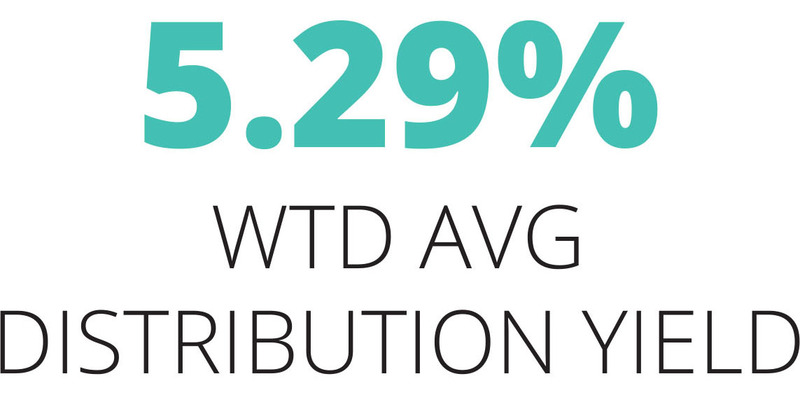 We create highly diversified portfolios, in which holding size is a true reflection of risk, that are designed to be robust under a wide variety of scenarios. We believe that this process produces higher and more consistent long-term returns and gives us the greatest opportunity to deliver our clients’ objectives. 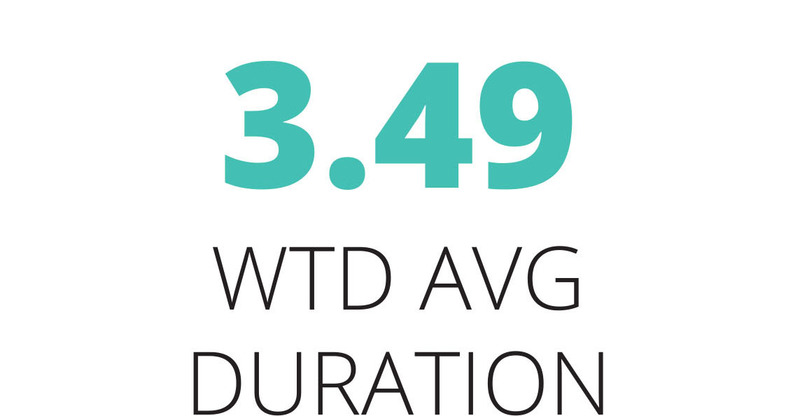 Let’s look at our Short Duration Credit Fund to illustrate our approach. 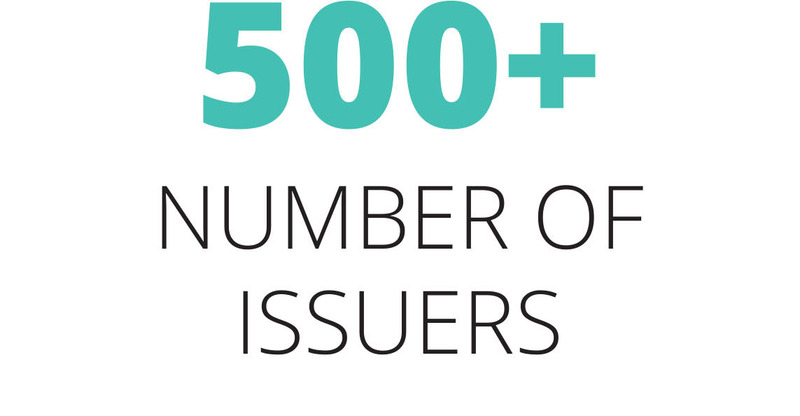 Over 40% of the portfolio is invested in bonds that are secured and asset-backed. One question that is often asked is: with such a high weighting in secured bonds are you sacrificing return? The answer is very definitely “no.” Many of these asset-backed and secured bonds offer yields in excess of unsecured bonds even when offering lower overall risk. This arises because security selection in the industry is disproportionately focused on liquidity, credit rating and benchmark inclusion. The Short Duration Credit Fund has almost 20% invested in bonds without an explicit credit rating – they are often undervalued because of the perception that unrated means risky. We believe that our emphasis on covenants, structure and security has underpinned our consistent outperformance. By considering a wider investment universe than many of our competitors – including unrated and asset backed bonds and loans – we can uncover value in many, often overlooked, areas. The Monthly Income Bond Fund will generate its monthly payments through the investment strategies pursued by the underlying funds. 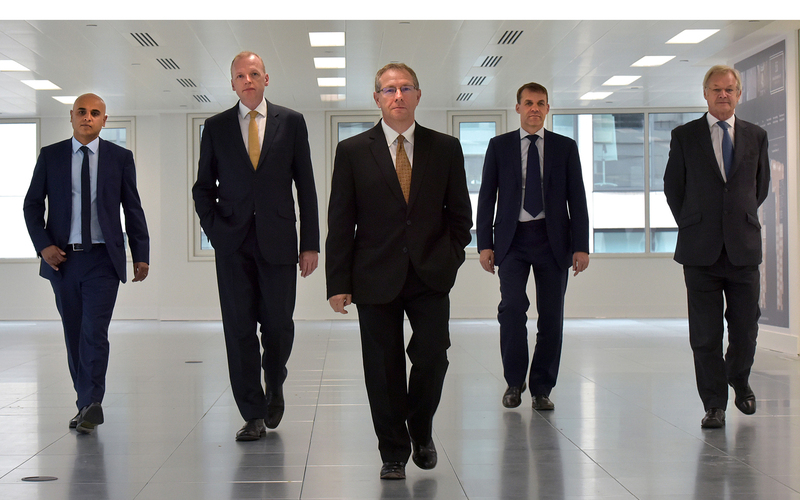 Overall asset allocation is managed by Jonathan Platt and Richard Nelson who are supported in the day to day management of the fund by our entire team of fixed income experts whose combined decisions along the income strategies in the underlying funds, will determine income distributions. 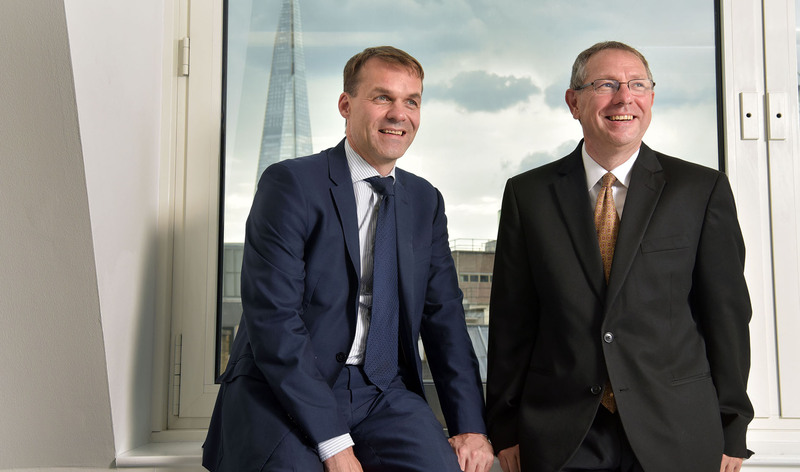 To complement these funds Jonathan and Richard use the Royal London Short Duration Global High Yield Bond Fund. This fund invests a large portion of its assets in short maturity sub-investment grade bonds issued by companies domiciled in the UK, Europe, Africa, Asia and the Americas. The focus is on keeping volatility at the lower end of the peer group range. Under this theme the MIB fund managers have also highlighted RLAM’s Short Duration Credit Fund, a fund targeted at short-dated investment grade sterling bonds. 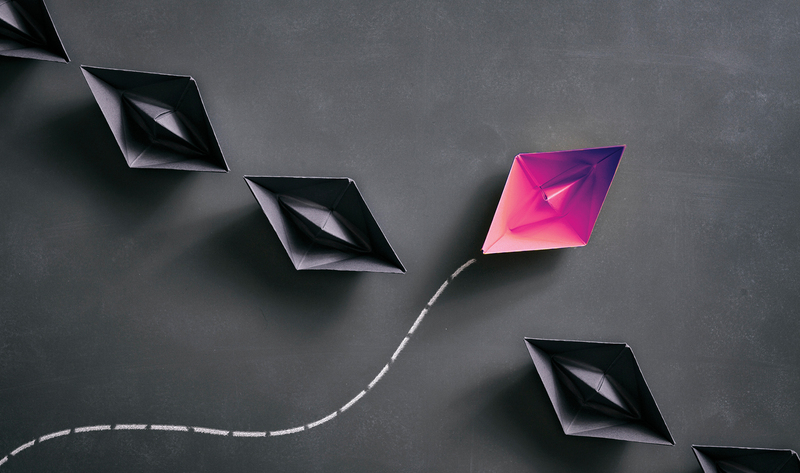 This fund has had a strong performance track record since launch and Paola Binns, one of RLAM’s senior credit fund managers, has created a clearly differentiated portfolio with a bias towards off-benchmark asset backed bonds. 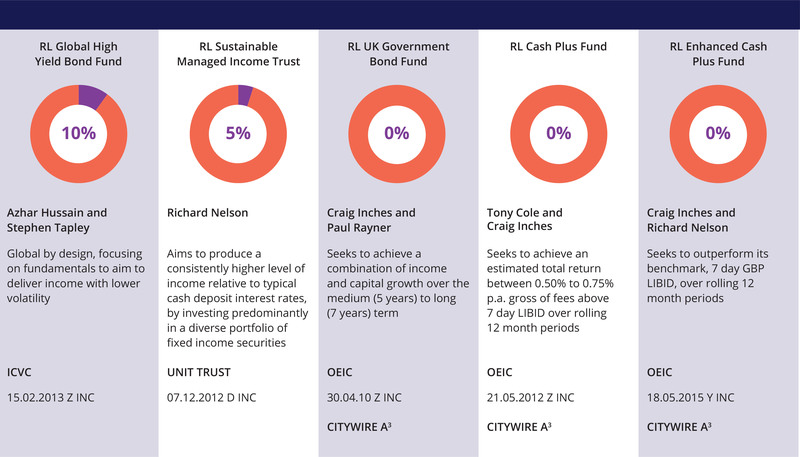 RLAM aims to offer its clients attractive monthly income via the Royal London Monthly Income Bond Fund (MIB). The fund exploits the inefficiencies inherent in credit markets which result from an over-reliance on illusory liquidity, credit ratings and orientation towards benchmarks. This investment philosophy, focusing on value and security, aims to offer higher yields without compromising on risk management. MIB also translates RLAM’s unique credit philosophy, with a strong emphasis on true active management, rigorous analysis of fundamentals and genuine stock selection, into a flexible and diversified new offering. It has a flexible remit and aims to deliver an income that exceeds the composite benchmark, with opportunities for capital growth. Using existing, proven funds makes it cheaper and faster to adjust the portfolio and keep it on target. The key funds targeted by MIB are highlighted below. Similarly, RLAM’s Global High Yield Bond Fund, which has a wider maturity universe, is currently used within MIB fund to provide diversified exposure to high yield – but again with a focus on keeping volatility at the lower end of peer group. *RL Sterling Extra Yield Bond Fund A Inc share class annualised performance (net of fees and gross of tax) as at 31 July 2018 for 1 year is 6.58%, 3 year is 8.48%, 5 year is 8.39% and 10 year is 8.40%. Weighting may vary according to tactical asset allocation. 3 Citywire ratings relate to Craig Inches. At RLAM we have created a bespoke investment process to assess and select companies for inclusion into the Sustainable trusts. The Sustainable Managed Income Trust uses this process to fully integrate financial and ESG analysis in a way which provides us with insights that other investors may miss. 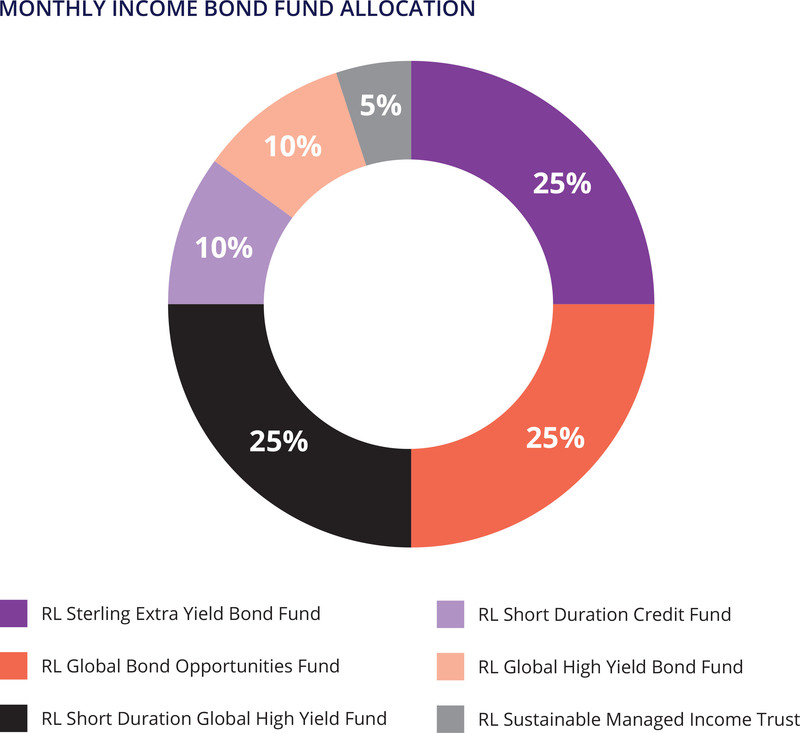 The Sterling Extra Yield Bond Fund and Global Bond Opportunities Fund have a global focus although the former has to retain at least 75% in sterling denominated bonds. Both funds reflect RLAM’s core investment philosophy which seeks to add value to security selection through security diversification, high income generation and risk mitigation. However, the Global Bond Opportunities Fund has a greater exposure to financial debt, is more geographically diversified and has a lower duration (and consequently lower interest rate sensitivity). 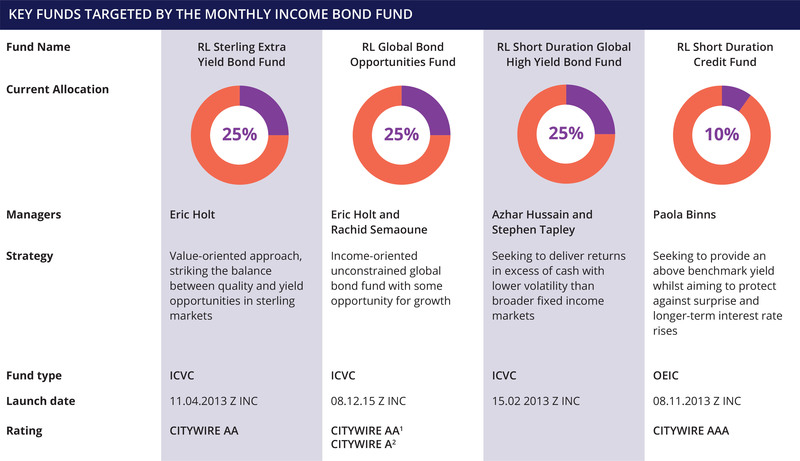 The Sterling Extra Yield Bond Fund reflects the investment style of our Head of Credit, Eric Holt. Eric is one of the UK’s most experienced credit fund managers with over 30 years industry experience; the fund is the best performer in the IA Sterling Strategic Bond sector over one, three and ten-year and second best performer over a five year period*. Its key defining features are the exposure to secured and asset backed bonds, its use of bonds without an explicit credit rating and, ultimately, Eric’s ability to analyse risk and return and to take contrarian positions. What does the investment universe look like? Source: RLAM. Data as at 31 July 2018. Past performance is not necessarily a reliable indicator of future performance. The value of investments and the income from them is not guaranteed and may go down as well as up and investors may not get back the amount originally invested. Citywire ratings for 3 year risk-adjusted performance for the period 31 July 2015 – 31 July 2018. 1 Ratings relate to Eric Holt. 2 Ratings relate to Rachid Semaoune. Most of us are used to being paid monthly for our work, creating a regular income stream. Throughout our working lives the monthly salary we receive keeps a roof over our heads, food on the table and pays our bills. In fact whether it is a utility bill or a Netflix account, nowadays most services are accounted for on a monthly basis. So whether your clients are seeking to supplement or replace their income, be it in the accumulation phase of their lives or post retirement – the combination of financial advice and a suitable investment solution is of critical importance. The Royal London Monthly Income Bond Fund is an easily accessible solution investing in funds aiming to offer the best income ideas. RLAM’s Fixed Income Committee seek to meet clients’ income needs in a risk managed manner by actively monitoring asset allocation. RLAM’s award winning range of fixed income funds span the risk and return spectrum from cash and gilts to credit and high yield, which means that your clients have access to a diversified asset mix across market cycles. The group have a collegiate approach to investing on behalf of their clients, which means that clients benefit from the expertise of an experienced team. Eric joined RLAM in 1999 following Royal London’s acquisition of Refuge Assurance’s investment team, where he had worked for the previous 20 years. He has extensive knowledge of UK investment grade and high yield corporate bonds, gained over a career spanning more than 30 years. Eric has overall responsibility for RLAM’s credit research process, as well as managing the Sterling Extra Yield Bond Fund and the Ethical Bond Fund. He graduated from Nottingham University with a degree in mathematics and is an associate of the Institute and Faculty of Actuaries. Ewan joined RLAM’s Fixed Income Team in 2012, bringing with him extensive experience in asset management and bond markets. He spent a number of years as a scientist before beginning a career in finance in 1993, initially with the London Stock Exchange, and subsequently with a number of major asset management firms. Prior to joining RLAM, Ewan was a Portfolio Manager at Rogge Global Partners. He has a degree in Applied Physics from the University of Strathclyde. Our investment process has evolved over decades and been tested in virtually every market environment. It integrates insights from our Cyclical Forums, which anticipate market and economic trends over the coming six to 12 months, and the annual Secular Forum, which projects trends over the coming three to five years. These top-down views are complemented by bottom-up perspectives from specialists and quantitative analysis of individual securities and portfolio construction. The Investment Committee, which is composed of senior investment professionals, drives decision-making on a daily basis. Jonathan joined RLAM in 1985 and became Head of Fixed Income in 1992. He has managed a range of funds throughout his tenure at RLAM while also overseeing the development of both the fixed income process and the highly respected Fixed Income team. He has an MA in Philosophy, Politics & Economics from Oxford University. Richard joined RLAM’s Fixed Income Team as part of the Co-op Asset Management (TCAM) acquisition in 2013. He joined the Co-operative Insurance Society as a trainee actuary in 1994, before moving into asset management in 1997. Richard has been managing government bonds since 2000 and corporate bonds since 2005. He qualified as an actuary in 2003 and holds a degree in Mathematics & Statistics from Exeter University. Azhar has 17 years direct experience of investing in Global High Yield bonds. He started his investment career at Gulf International Bank before moving on to Insight Investment Management. Over his career he has invested in an array of bond strategies in the High Yield arena globally. Azhar’s style is based on his background as a chartered accountant, believing that fundamental credit analysis is the core to seeking outperformance.